The fortunes of the family were established by Jang Bahadur Kunwar Rana and his brothers. They secured the Prime Ministership for Jang Bahadur in 1846, following yet another one of Nepal's bloody coups. After a ten year period in office, he retired in 1856, receiving the hereditary title of Maharaja of Lambjang and Kaski for his services. However, his retirement did not last long and he returned to power in 1857. Thereafter, he was able to consolidate his position, laying the foundations of a military oligarchy, which lasted for a century. The offices of Prime Minister, Supreme Commander-in-Chief, and all the senior military appointments made hereditary within his family. These offices, as well as the title of Maharaja of Lambjang and Kaski, ceased to be hereditary within the Rana family after the 1951. However, the family, which is now very numerous, remains very powerful within Nepal and continues to play an important role in many areas of national life. Intermarriage with the Royal House is quite common, the present Queen and the consorts of several princes provide prominent examples. The family is also closely connected by marriage to many of the Hindu princely houses of India. The head of the family: Svasti Sri Madati Prachandra Bhujadandyetyadi (any orders of chivalry) Sri Sri Sri1 Maharaja (given name) Shamsher Jang2 Bahadur Rana3, Maharaja of Lambjang and Kaski, Prime Minister and Supreme Commander-in- Chief of Nepal, with the military rank of Field Marshal and the style of His Highness. The chief wife of the Maharaja: Sri Sri Sri Bada Maharani (given name) Rajya Lakshmi Kumari Devi, with the style of Her Highness. The second wife of the Maharaja: Sri Sri Sri Kancha Maharani (given name) Rajya Lakshmi Kumari Devi, with the style of Her Highness. The third wife of the Maharaja: Sri Sri Sri Sahila Maharani (given name) Kumari Rajya Lakshmi Devi, with the style of Her Highness. "A" class sons of the Maharaja: Sri Sri Sri Maharaj Kumar (given name) Shamsher Jang Bahadur Rana. "A" class daughters of the Maharaja: Sri Sri Sri Maharaj Kumari (given name) Rajya Lakshmi Kumari Devi. Other male descendants of the Maharaja, in the male line: Kunwar (given name) Shamsher Jang Bahadur Rana. Other female descendants of the Maharaja, in the male line: (given name) Rajya Lakshmi Kumari Devi. Other, more distant male relatives of the Rana family: (given name) Bahadur Rana. Note1: sometimes abbreviated to Sri Teen (i.e. three Sri). Note2: sometimes spelled Shumshere Jung by certain members of the family. Note3: some members of the family, especially those who settled in India, preferred to use the title of Rana, before their given names, rather than after. Hereditary, in order of birth, from one brother to the next, or one cousin to another, until all the survivors of a generation have succeeded in turn. On the death of the last brother, the succession passes to the eldest born son of the deceased males of the previous generation (not the eldest son of the eldest brother). Only so called "a" class Ranas were eligible to succeed, i.e. legitimate sons, born to wives of equal caste with their husbands, and who could eat together. Other issue, born of morganatic wives, could not succeed unless all "a" class Ranas died out (these individuals are marked as (b) in the text). The issue of lesser wives, so called "c" class Ranas, could not succeed (these individuals are marked as (c) in the text). 1. Prime Minister and Supreme Commander-in-Chief. 3. Senior Commanding-General, Western Command. 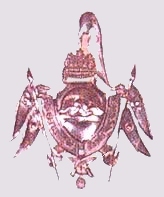 The "a" class Ranas, who were sons of the Maharaja, received their first military commissions at the age of 18 years, in the rank of Major-General.